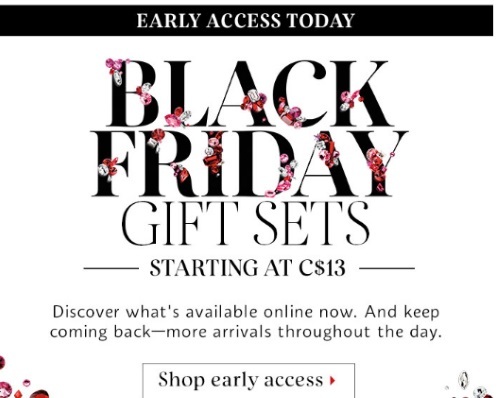 Sephora's Black Friday Gift Sets are now available during their Early Access today! You can shop these before tomorrow sale online! Sets start at $13. Offers are while quantities last. There will be more arrivals throughout the day so check back often! If you miss a set that you like, there will be more tomorrow during their Black Friday sale.